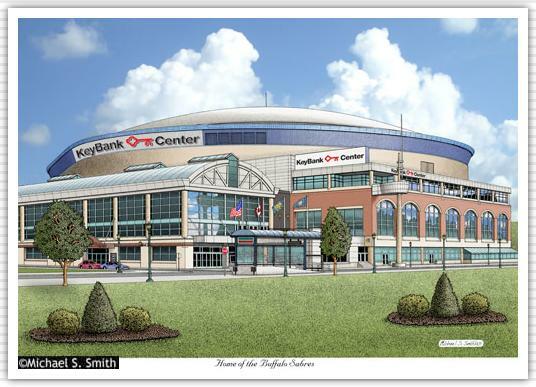 The KeyBank Center, located in Buffalo, New York is the home of the NHL Buffalo Sabres. Completed in 1996 at a cost of $127.5 million, it has a seating capacity of 19,070. The Buffalo Bandits of the National Lacrosse League also call it home.